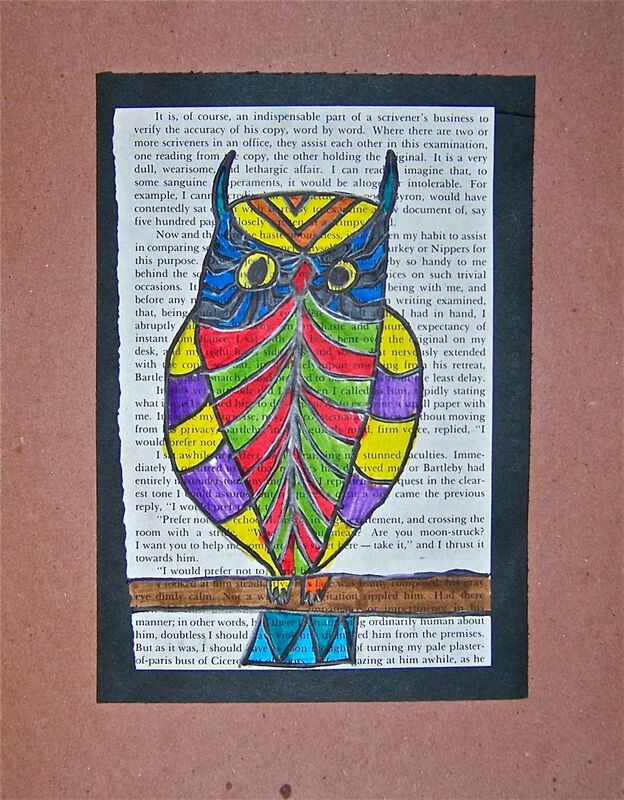 Third graders designed these pattern owls and drew them on recycled paper from books slated for the big dumpster outside of school. When the Librarian told me that she was throwing away books, I literally grabbed them. 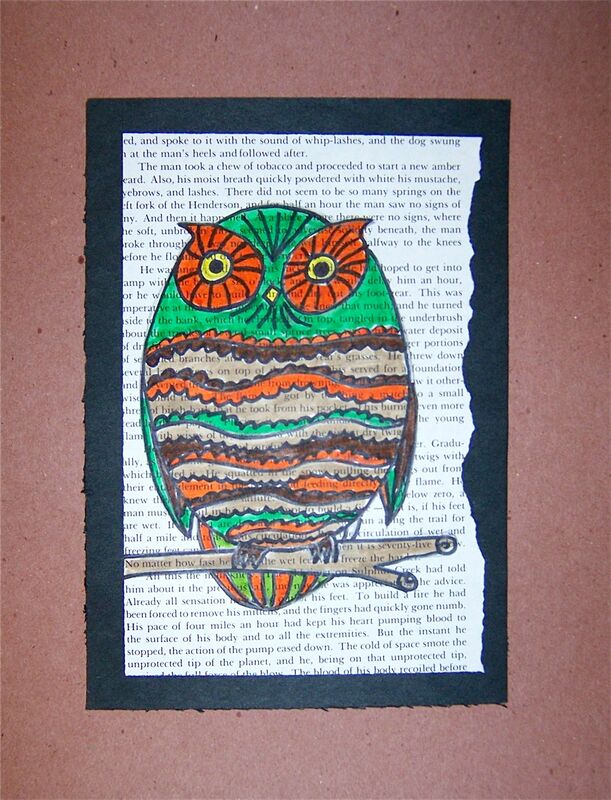 I think the pages make our owls look like pretty smart fowl. Students had a wide range of owl resources to look at while drawing and then brainstormed the patterns. 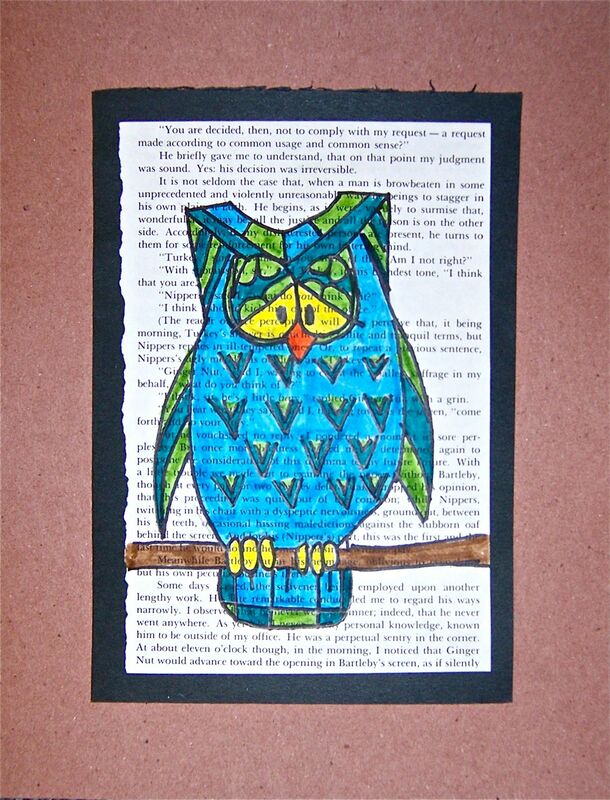 After going over the pencil lines with sharpie, the owls were either painted with liquid watercolor or colored with markers. These owls brought to you by Reagan, Annaliese, and Henry. 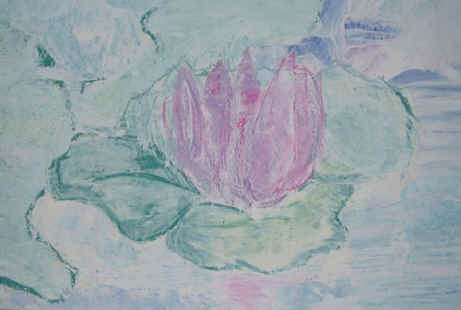 Monet paintings are always popular. For several years, our Denver Botanic Gardens boasted a Monet garden, complete with water lilies and the Japanese bridge. It was a beautiful, quiet place to sketch and paint. My daughters and I spent many happy times there. Many of my students were also able to visit the Monet gardens. Monet is an artist whose “palette” is easy for students to understand. By palette, I mean a selection of colors. He kept a clear palette, never muddy, with a lot of light colors and white. 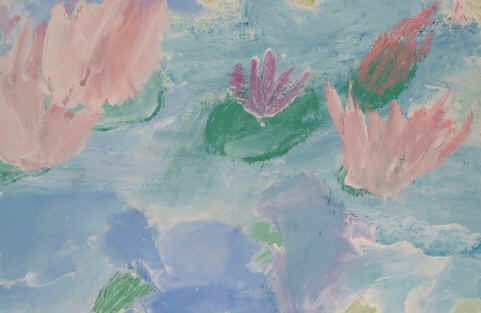 By using white tempera and pastel chalk in this lesson, students were able to keep a clear palette.Together, we looked at Impressionism, primarily Monet. Students were able to produce some interesting looking “brush strokes” with the moistened chalk. 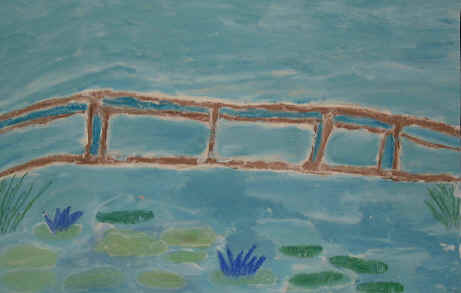 Students created some beautiful “watery” paintings. When dry, the paintings have an impasto look and appear more painting-like than chalk-like. The kids loved working with it. PS – be prepared for mess! What is a color plan? Supplies: Oatmeal paper or 12″ x 18″ -any textured paper will work, pencils, colored chalk pastels, white tempera paint, plastic dishes, water cups, and brushes. •Choose what you will paint. 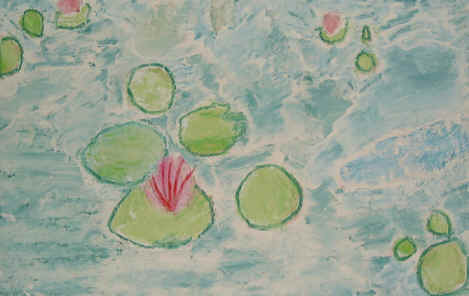 Here are some ideas: Garden scene, water lilies, the Japanese garden, and water garden. •Draw a rough draft on your paper. Keep it “coloring book simple”. 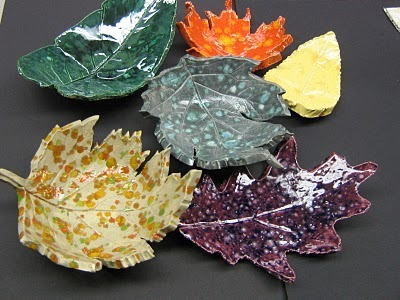 •Dip chalk into water dish and draw into the wet paint. If paint dries – brush on a bit more. 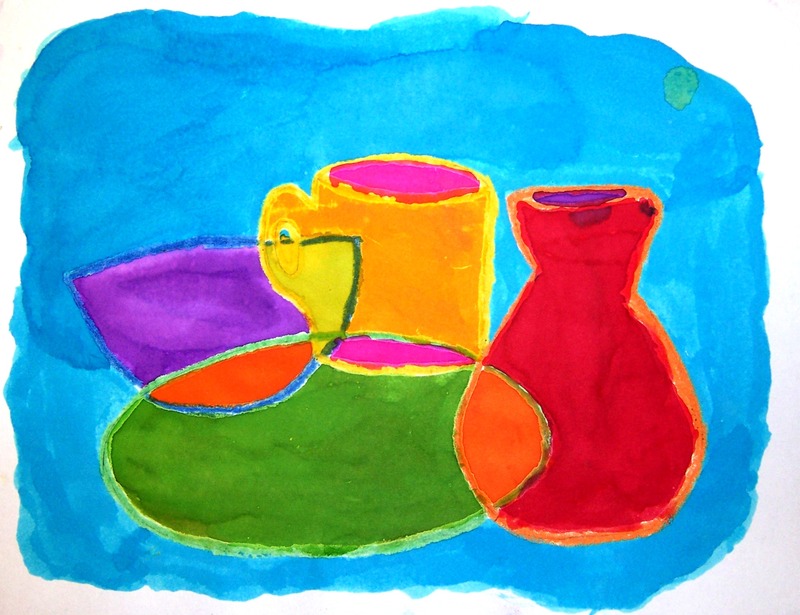 •Blend some related colors together for interest within shapes. Notice what happens to the colors as they mix with the paint. *Have a class critique and “show opening” when all are finished. Display all work and admire the beauty. 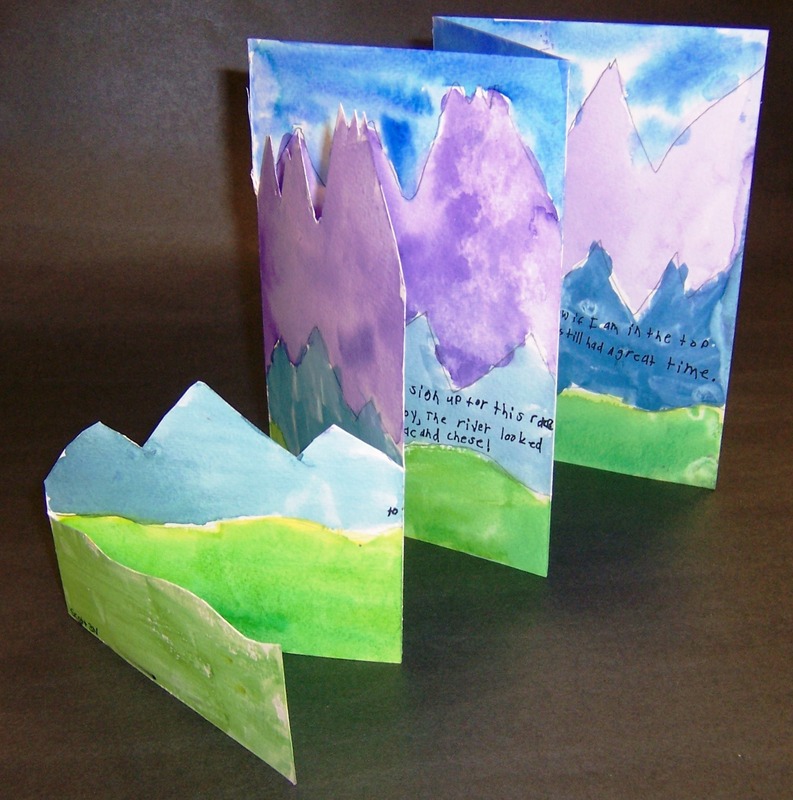 Suggestion: Have a student panel select the ones they like best and make cards for Mother’s Day. They make a wonderful gift. Staff members will buy several sets, as will parents. Make them to order and have parent volunteers help with the printing. We begin this project by finding boxes that create a stable body shape and gluing them with hot glue (Mom helpers are the best). 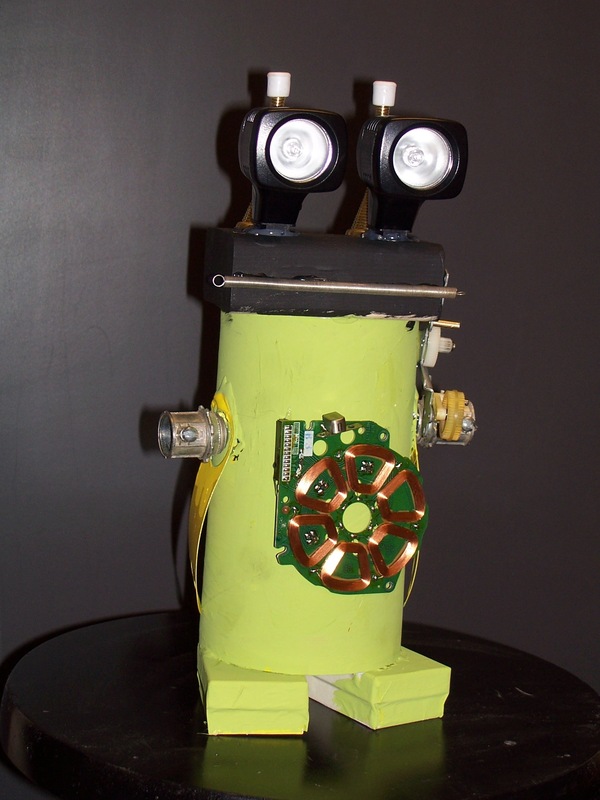 Next, students find recycled materials such as juice lids, film canisters, and other junk to make arms and feet, and perhaps another box for the head.At this point, students paint the body, arms, legs, and heads with acrylic paint. After the paint is dry, student get to dig through more boxes of junk looking for things to make eyes, mouths, hair, “control panels”, etc. 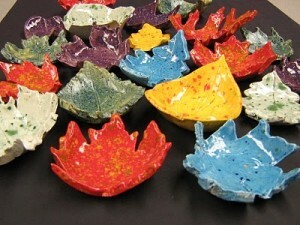 These are also hot glued on with my help and parent help. Last, details and patterns are added with more paint. 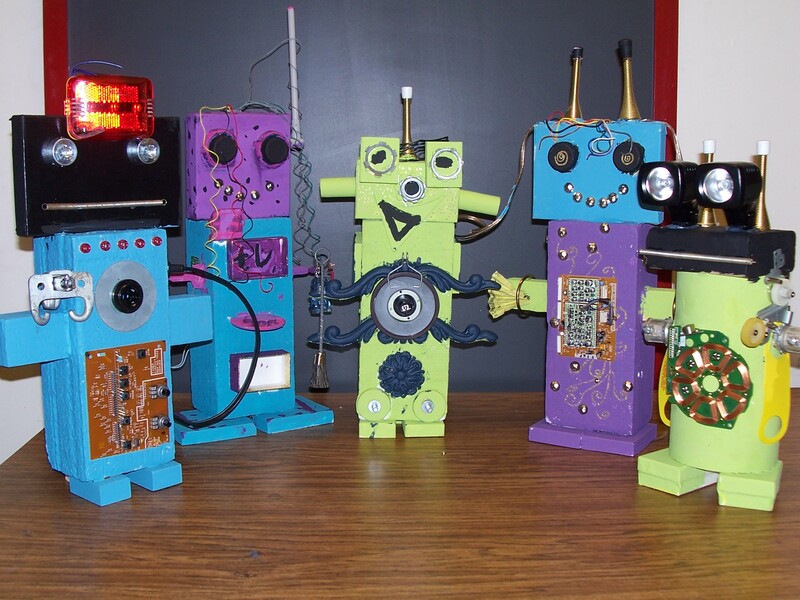 Remind students that these robots are sculptures and powered by their own imagination. 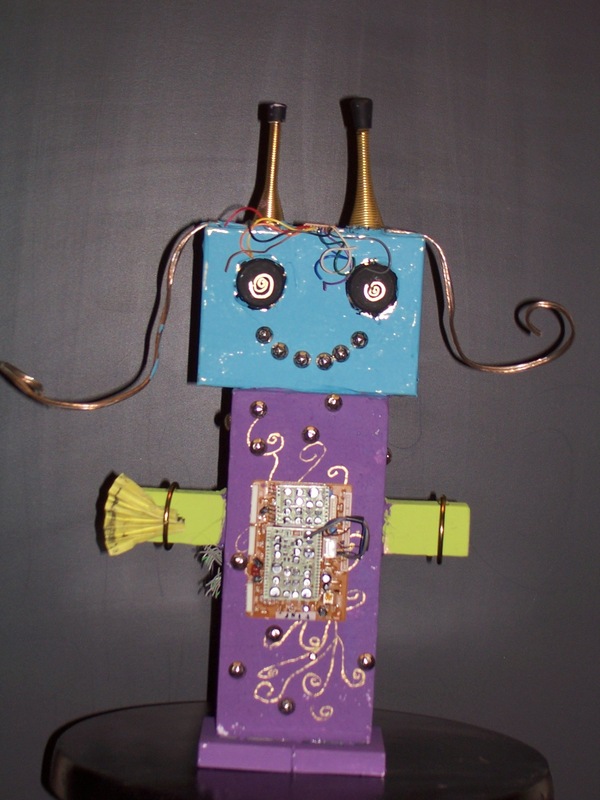 Supplies: Boxes, wood blocks, metal junk, packaging from Bionicles, wire, electric cords, any kind of junk and recyclables that would be appropriate. Acrylic paint, paint brushes, hot glue. 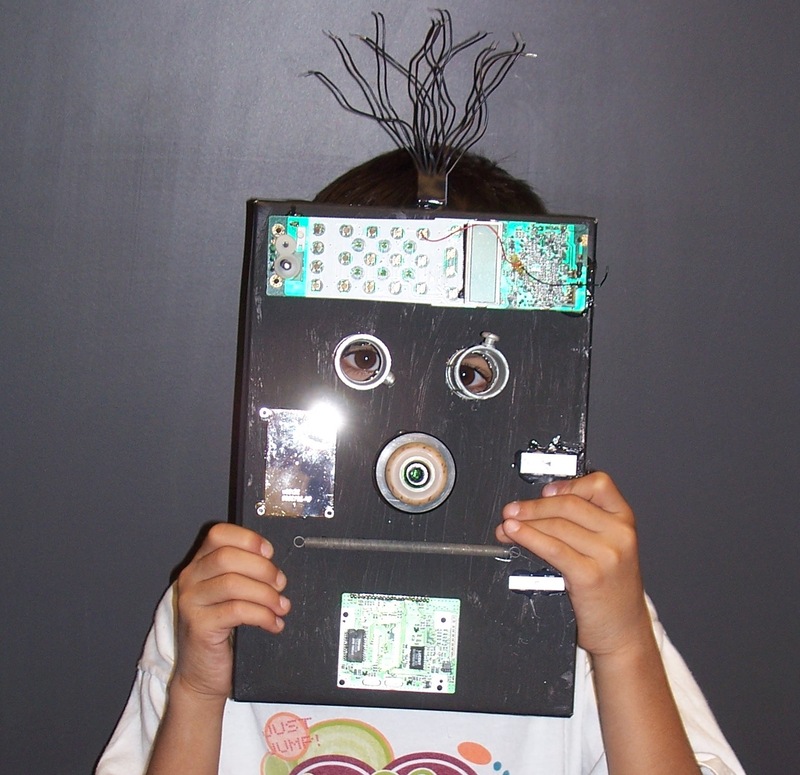 Extend the fun by making Robot Masks! 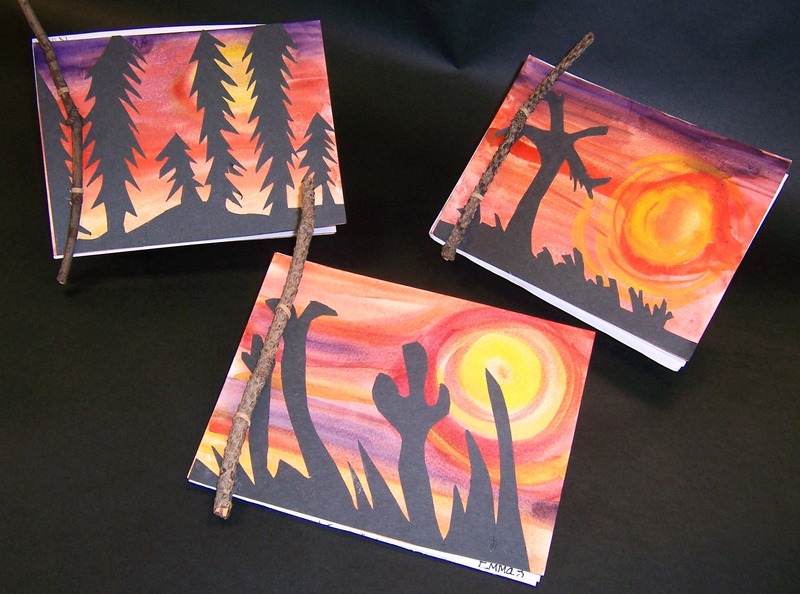 My fabulous third graders had a great time making hand-made books that went along with their biome studies. Each of four classes made a different type of book. 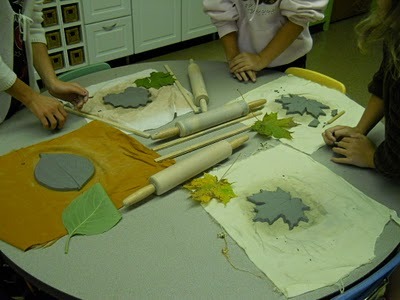 One class had a twig binding, two used an accordion book format, one was a very tricky origami book. All turned out beautiful. 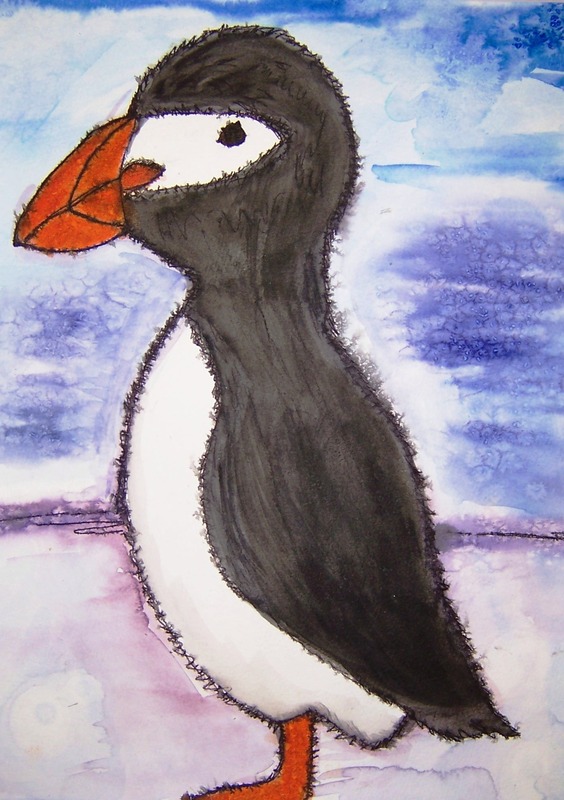 Students included visual journaling inside their books as well as creating stunning covers.